Today, dermatologists can tighten sagging skin on the face and body—often without using a scalpel. These are the new treatments that actually work. Cosmotree clinic provides some advance non-surgical skin tightening procedures, which are some of the best skin tightening treatment in Delhi/Gurgaon, and Mumbai. In general, non-surgical skin tightening procedures work by using targeted energy to heat deeper layers of skin, which accelerates collagen and elastin production and gradually improves skin tone and texture. 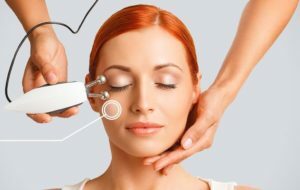 There are numerous FDA cleared skin tightening treatment and technologies on the market; each uses a unique mechanism to achieve the desired result. Little or no recovery time, minimal risk of infection or scarring, and very natural-looking results top the list of reasons why a non-surgical approach to skin tightening and rejuvenation are popular. Yes with Cosmotree Clinic offering best non-surgical skin tightening treatment in Delh/Gurgaon, and Mumbai it is very much possible with visible results. Production of collagen and elastin—two proteins that help our skin stay plump, firm and smooth—slows down as we age, resulting in areas of lax, sagging skin on the face, neck and body. Dermatologist at Cosmotree clinic will recommend you treatments after examining your body and skin needs, your texture etc. So if you are worried about going under a knife, some non-surgical skin tightening can temporarily stop this process and restore a firmer, smoother, more youthful appearance with little to no downtime. • Tightens mild to moderately sagging skin on the face or neck without any surgery. • Improves wrinkles and fine lines. • Results can last up to a year. Ultherapy is the non-surgical treatment for tightening and treating fine lines and wrinkles targeted around the face, the skin on the neck, chin, and brow. Dermatologist at Cosmotee Clinic uses ultrasound to lift and tighten loose skin over time, without any downtime. These skin tightening treatment use focused ultrasound energy, which heats skin at specific depths and locations to speed up collagen production and help skin become firmer. Treatments are done through a handheld device, which transmits the ultrasound waves through the skin’s surface. Ultrasound technology has been used in medicine for many decades, and ultrasound skin tightening has an excellent safety profile. This treatment is mostly done on the face. One of the main concerns with HIFU or UL therapy treatment for our patients is the level of discomfort. It can be a painful treatment for some, especially the deeper penetration. Numbing cream is not effective for this procedure as it does not penetrate deeply enough to provide anesthesia for the treatment. No recovery time is needed. Patients can resume their daily activities immediately. Another mild skin tightening procedure is just one of the non- surgical anti-ageing treatments offered by Cosmotree clinic in Delhi/Gurgaon, and Mumbai. Cosmotree Clinic is offering the best non-surgical skin tightening treatment in Delhi/Gurgaon and Mumbai. Our specialists will provide you with the best skin tightening treatment as per your body and skin needs, and we’ll do our best to keep you comfortable every step of the way. Give us a call at 9999909292 to schedule a consultation today.